Sault Ste. 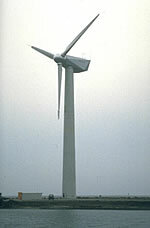 Marie is home to the Prince Wind Farm, one of the largest wind energy farm in Canada. The site’s 126 turbines can produce 189 megawatts of renewable energy, enough to power about 60,000 homes or two cities the size of Sault Ste. Marie. There are five hydroelectric stations in the Sault Ste. Marie area that generate a total of 203 megawatts of renewable energy. The nearby Wawa area generates an additional 196 megawatts from hydro operations. Elementa Group is working on its full-scale facility that will convert Sault Ste. Marie’s municipal garbage into clean energy using a patented “Steam Reformation” process. The technology vaporizes solid waste into a synthetic gas, similar to natural gas, which will be used to generate more than five megawatts of electricity. Essar Steel Algoma, one of the Sault’s largest employers, began a cogeneration power project that utilizes excess gas from the steelmaking process. The $135-million initiative produces 70 megawatts of electricity and reduces the firm’s reliance on the power grid by an average of 50 per cent. Sault Ste. Marie is home to Starwood Energy Group, which has established a 60-megawatt solar farms project. The sites generate enough electricity to power about 21,000 homes. The city is also home to Heliene Canada, which established a photovoltaic solar panel manufacturing facility. Using “Reverse Polymerization” technology, Ellsin Environmental is operating a pilot tire recycling plant that breaks down old tires into their original parts: steel, oil and carbon black. Separated, each is valuable and can be reused for a variety of purposes, including power generation. Brookfield Power operates a 110-megawatt cogeneration plant in Sault Ste. Marie. The facility consists of two 40-megawatt natural gas turbines and one 30-megawatt steam turbine.